Humans are creatures of habit, there is no denying it. We can easily get stuck within the daily grind where we gravitate to what we know. In our routine-driven society it is important to find fun and fresh ways to shake things up and keep you on your toes! An easy way to do this is to take advantage of the multitude of methods for smoking marijuana. You most likely know some of the various ways of kicking back and lighting up - but just in case you don’t, we wanted to curate a comprehensive list of the best ways to do so. Hopefully you can learn about a new technique or inject some creativity and variety into your herbal routine. Let’s get started! An obvious classic, joints are one of the definitive ways to smoke weed offering endless options for sizes and creativity. The video above outlines a straightforward way to roll up, but the awesome thing about joints is the ability to customize them based on the smoking experience that you are looking for. 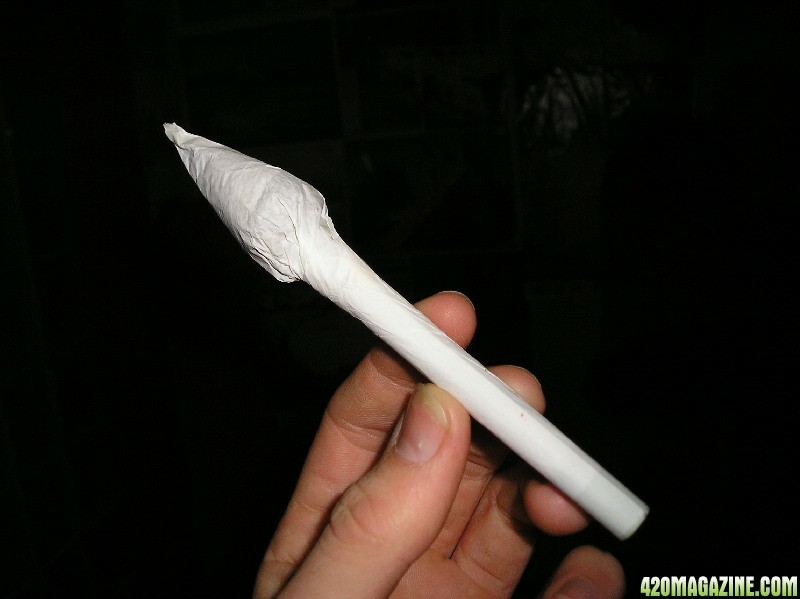 Use king size papers that can hold more herb when smoking in a group, buy hemp-based and un-dyed papers for a natural experience, or even roll a skinny personal joint for a solo walk in the park. Joints can really be whatever you are looking for - adaptable, portable, and always reliable. 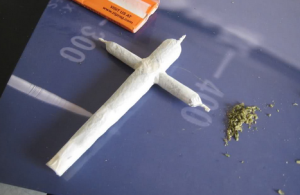 Yes, joint art is a thing. And it is awesome. Even though it doesn’t necessarily increase the effectiveness of your sesh, it adds an undeniable coolness factor as well as a go-to party trick sure to impress. When you whip out a fresh braided joint (pictured above) at your next gathering, it automatically elevates the moment to a special occasion! Braided joints, tulip joints, and cross joints are some of the more basic and common designs, but check out Tony Greenhand’s instagram for some insane inspiration! Another obvious and classic option, blunts can hold a lot of herb and pack a serious punch. In the above video, YouTuber Nina Ross (check out her channel for more weed related tips as well as beauty and lifestyle vids!) shows you how to roll the perfect blunt whether you’re a beginner or a seasoned roller. Using a glass pipe is one of the quickest ways to light up: no need to construct anything, no complicated steps, all you need to do is fill the bowl with your ground herb and light it up! Not only are they easy to use, glass pipes come in a wide variety of designs, shapes, and sizes. There is even a huge community of glass artisans from all over the world that create smokable works of art that you can collect and display! One-hitters are essentially straight conical pipes with an end-to-end channel and no carb. Consider them like a personal pipe: small, discreet, and quick. Check out the video from the tip above where The Stoner Mom (another awesome YouTube channel, check her out for reviews, tips, and ways to use cannabis responsibly!) shows you how to use a glass pipe and a chillum and how they differ. This is a great example of how you can customize your smoking method to your situation. If you only want a couple of hits or you’re running out of time, just use a chillum and you’ll be on your way! Bongs are yet another indisputable method within the stoner lexicon, but for good reason. Because of the water and the path the smoke takes through the glass you can get huge, but smooth hits. Some bongs even have ice-catchers, allowing you to add ice to the smoke chamber which will give you a milky and refreshing inhale. There are a plethora of add-ons and modifiers that you can get to customize your bong-sperience from downpipes, to diffusors, to percolators, all of which can help you get what you want out of your sesh. Pro-tip: when smoking your bong with hemp wick, dip the lit wick into the stem as you clear it - this will extinguish your wick automatically. Check out other tricks for putting out your hemp wick here! Gas mask bongs initially look like something out of an apocalyptic horror film - but try not to get scared off. Because the mask attachment suctions to your face, it traps your entire hit (close your eyes to avoid getting smoke in them! ), eliminating loss and allowing you to inhale everything. It is a fun, quirky method and it guarantees that you’ll get very, very stoned. When faced with the scary situation of not having a vehicle to smoke your herb with, stoners tend to turn into innovative engineers. The homemade apple pipe is a standard solution that you can put together with household supplies - the video above uses a pen and toothpicks to transform the fruit into a smokable piece. Even better, the apple lends a slightly sweet taste to your hits and you can eat it after your sesh when the munchies kick in! Gravity can do more than just keeping you grounded, it can also get you high. The gravity bong (some call it a “bucket”) uses its force to both pull out a huge, milky hit as well as to push it all quickly into your lungs. This method allows you to get large hits from very little herb, proving to be economical and another example of something easy to make from household objects. Watch the video above for a tutorial on how to construct and use an easy gravity bong. Smoking hookah is a fun social activity to pass around at a gathering or party, why not spice it up with some weed? When putting your hookah together (watch the video above for tips and how-to) mix in your prefered amount of herb with your shisha (flavored tobacco) for a fruity and pleasant flavor with all the benefits of marijuana! Casually referred to as “happy hookah” you’re sure to have a blast with this one. We understand and appreciate the fact that each person is looking for a personalized smoking experience that correlates with their likes and needs. There are hundreds of ways to get creative with smoking, whether it is revamping a tried and true method or creating something completely new. As purveyors of authentic experiences through our hemp wick we love to try unique approaches to responsible marijuana consumption. Tell us your favorite ways to light up, and as always happy smoking!